It’s National Dental Hygiene Month at our West Caldwell dental office and dental offices around the country! This celebration is dedicated to all dental hygienists and serves to recognize these valued team members and everything they do to keep our patients healthy. These 31 days are also for promoting the importance of good hygiene for oral and overall health. 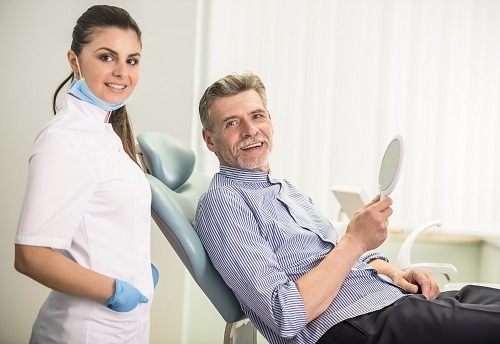 5) Education – Talking with your hygienist and dentist in West Caldwell about any dental concerns you have is a great place to learn as much as you can about your unique oral health. Hygienists and dentists alike are here to help you get and maintain a healthy smile and are happy to assist you with any questions you may have. If it’s been longer than six months since your last dental cleaning, we welcome you to call our dental office in West Caldwell to schedule an appointment today.